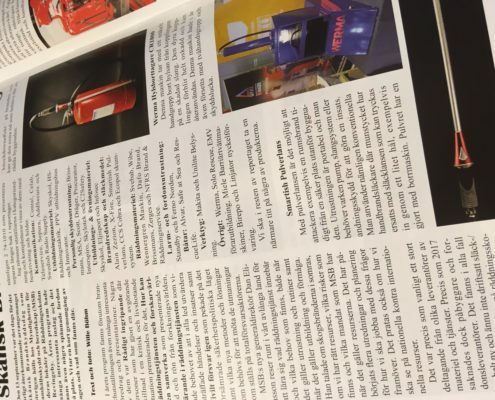 Pulverlansen mentioned in the Swedish magazine Utryckning! https://pulverlansen.se/wp-content/uploads/2019/02/img_2971.jpg 3024 4032 admin https://pulverlansen.se/wp-content/uploads/2018/09/0_Pulverlansen-ORGINAL-LOGO-300x54.png admin2019-02-13 15:19:112019-02-13 15:19:12Pulverlansen mentioned in the Swedish magazine Utryckning! Jönköping och Sundsvall satsar på Pulverlansen! https://pulverlansen.se/wp-content/uploads/2018/12/stor-order.jpg 960 960 admin https://pulverlansen.se/wp-content/uploads/2018/09/0_Pulverlansen-ORGINAL-LOGO-300x54.png admin2018-12-13 12:47:422019-02-26 12:57:34Jönköping och Sundsvall satsar på Pulverlansen! Give your first responder the ability to break a negative sequence of events early, from a safe place outside the building! 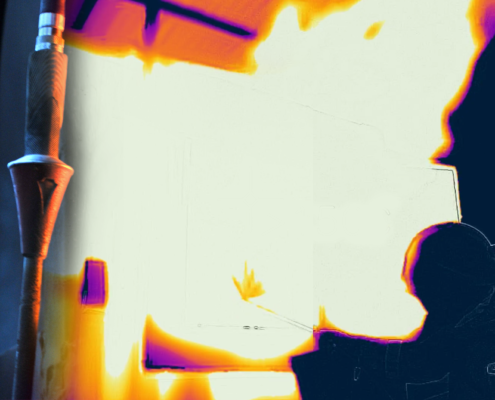 You gain valuable time and it creates a better environment inside the building for both smoke divers and victims. A smaller fire service like a voluntary fire service that do not perform smoke diving but usually are the first unit to arrive can benefit greatly from being equipped with the Swedish Powder Lance. 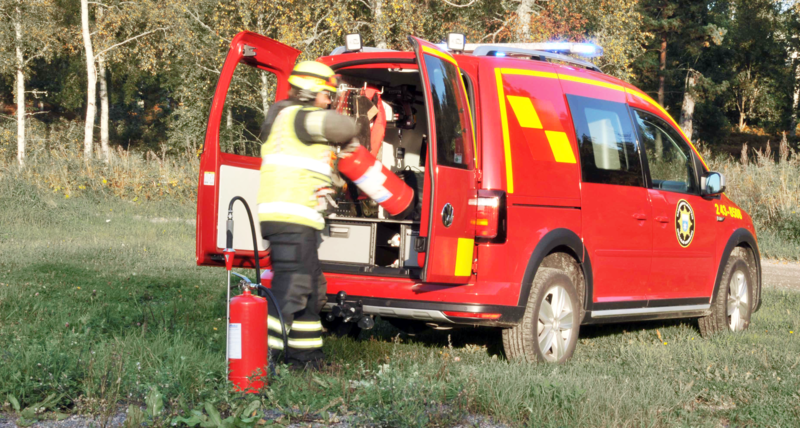 Today, many Swedish fire services uses a smaller vehicle that takes the first responder directly to the fire. The Swedish Powder Lance is ideal for this purpose! 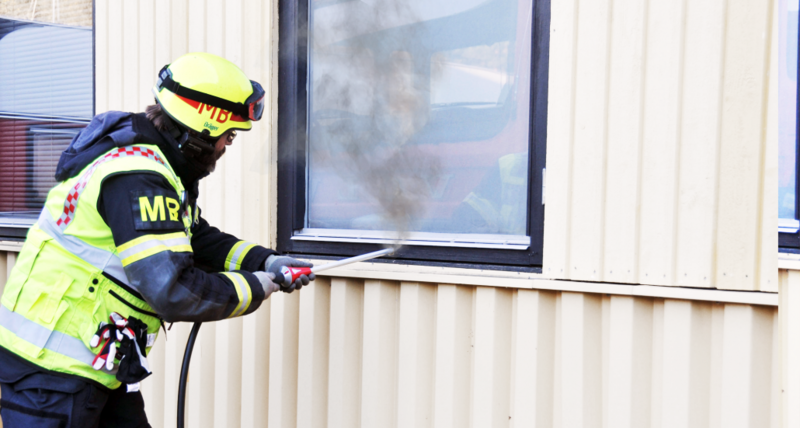 With the Swedish Powder Lance you can avoid toxic fire smoke without having to use breathing apparatus, the equipment fits into a smaller vehicle and it requires neither water tank, pump or hose systems. 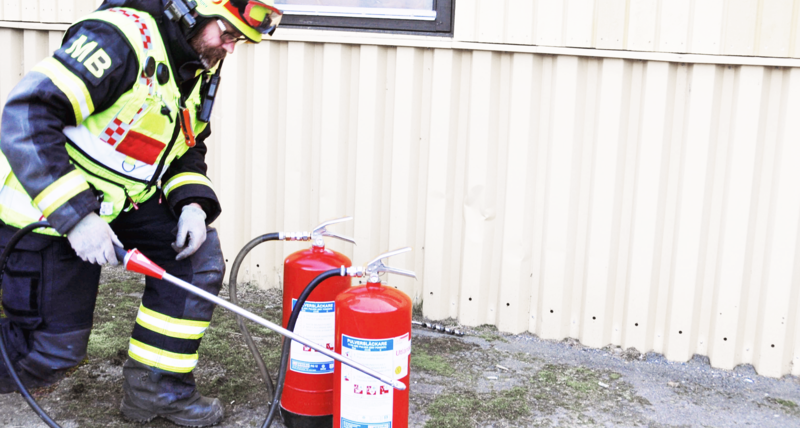 If the fire truck with smoke divers is first to arrive, the Swedish Powder Lance offers an early knock-down effect on the fire, even before the water system is pulled out and without the risk of a difficult turn. The time of the first attack on the fire can be several minutes earlier compared to traditional rutines with hose systems, safe water, braking doors and reaching the fire room using smoke diving. The smoke diving could be carried out more safe in lower temperatures and with the smoke filled with salt particles and steam the risk for flash over or back draft is much lower. 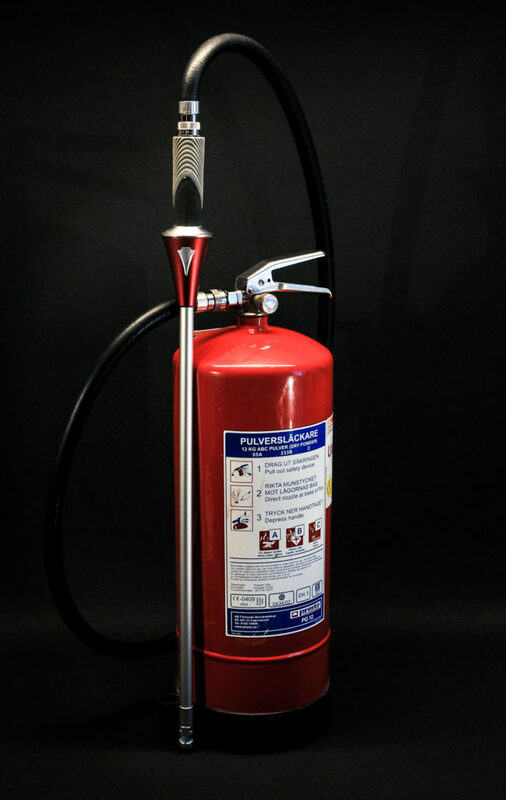 A fire extinguishing equipment specially designed for enclosed spaces offering an early attack on the fire from a safe place outside the building. – The Swedish Powder Lance has a distribution pattern that utilizes the extinguishing agent you carry with you in the best way possible. – The Swedish Powder Lance provides a high flow. 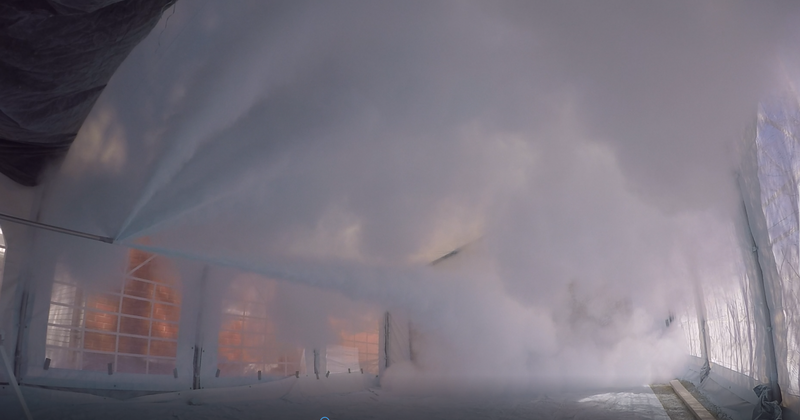 Tests performed with Prestos 12kg, showed a twice as high flow compared to the standard extinguisher with its original hose. That equals a better throw length and almost 20 valuable seconds faster emptying! Together, these factors contribute to a potentially better extinguishing effect. – The Swedish Powder Lance is stylish and ergonomic, easy to carry, easy to understand and easy to handle. It’s about a rescue operation and therefore nothing has been left to chance, you don’t need to do what either! The Pulverlansen logo is a registered trade mark and the design of the product is protected. Dry chem powder is a combination of salts that in normal concentrations are not potentially harmful to health or environment. Dry chem powder is a highly efficient extinguishing agent in relation to its weight. You can carry enough extinguishing agent to perform an efficient first attack on the fire. Neither breathing apparatus nor water pump or hose systems is required. You can easily replace an empty extinguisher with a new one to continue your ongoing efforts or prepare for the next one. 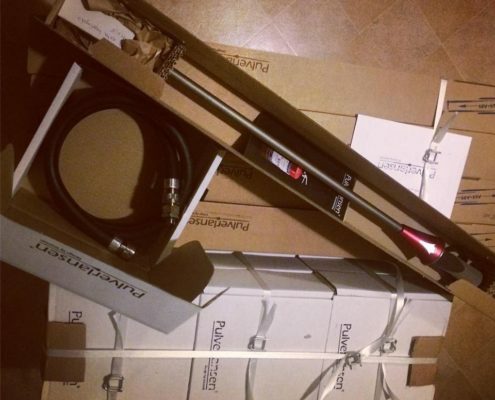 Pulverlansen requires no big space for storage, it is easy to handle and you can reach almost any place by foot, this makes it a highly suitable first action. Did you know that structure fires spreads 4 times faster today than 50 years ago? In less than 4 minutes, the smoke will fill the fire room to such extent that you have to evacuate. It is as a result of the increased amount of synthetic material in our homes today. It usually takes 10 min for the first engine to arrive. This means that we need to find new ways to arrive faster. Not even the person living in the building will be able to use their own fire extinguisher effectively at all times. Instead, the rapidly increasing smoke forces the person to evacuate. Bringing an unused powder extinguisher with them out. The Swedish Powder Lance would give that person a second chance to succeed with the early extinguishing effort from outside the building. 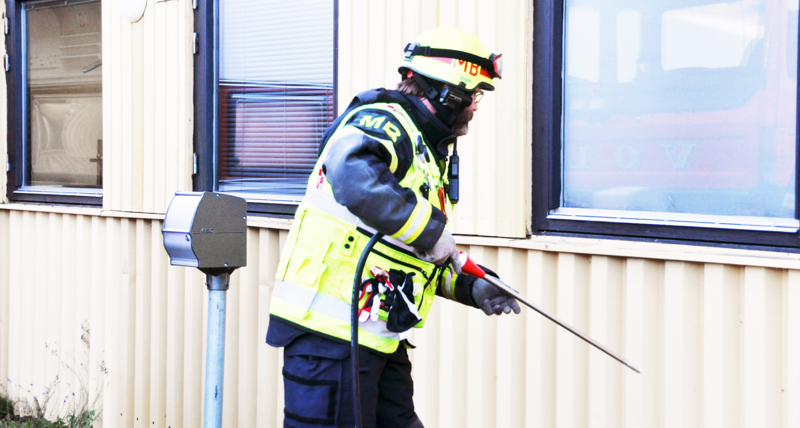 The finished product was presented at the International Firefighter Instructor Conference 2018 which was held at MSB in Revinge. Thus, the Swedish Powder lance could be announced as launched. First to arrive, how do you act? Identify the room that holds the fire. 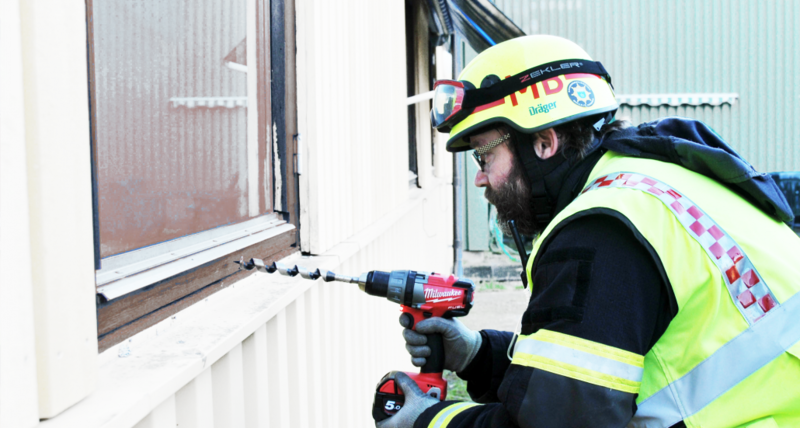 Drill a hole from the outside of the window frame. Pull the pin out, place the lance in the hole and press the lever down. Do you want to be more powerful in your early respond? DIY powder lances have been used by Swedish fire services for some time, but never have there been a product in such a thorough workmanship and also available to everyone. The Swedish Powder lance has been used sharp at a known occasion – A kitchen fire in a townhouse. The fire was extinguished by the force leader arriving early in his own small fire vehicle. The inherent had its own powder extinguisher but had to vacate without succeeding in completing its extinguishing attempt, the smoke was growing too fast. When the force leader arrives, the doors that were open are closed, then a hole is drilled at the kitchen window frame and the Swedish Powder lance is used. The early intervention, prevented the fire to spread and when the smoke divers arrive, it is found that the fire is virtually extinguished. TEST IT YOU TOO!